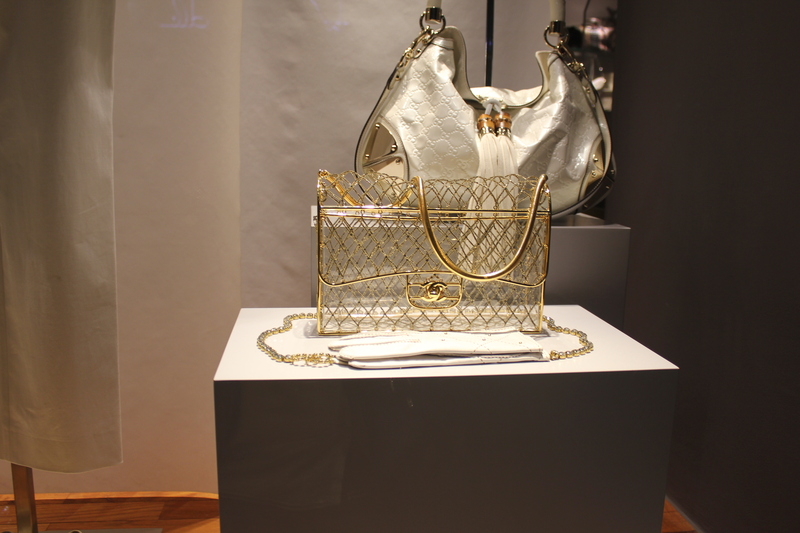 I randomly saw this beautiful Vintage Chanel Bag at Ewa Lagan in Frankfurt, Germany. The filigran gold metal, of which the bag consinst is of an exceptional beauty! This entry was posted in Uncategorized and tagged Chanel, Clothing, Coco Chanel, Ewa Lagan, Fashion, Fashionblog, Frankfurt, Gold, Shopping, Vintage by Garance-Amanda. Bookmark the permalink.